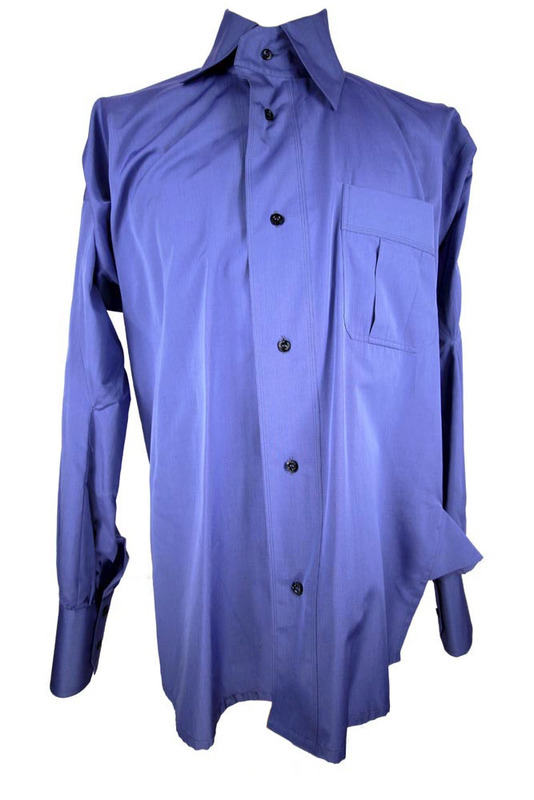 Vivienne Westwood Man London asymmetric drunk shirt in light blue cotton. Black buttons, 6 down the front and 2 on each cuff. 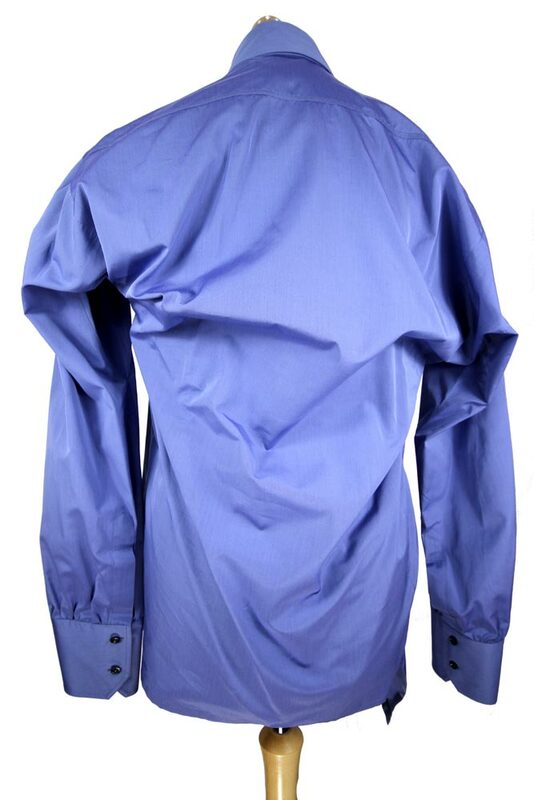 This classic Vivienne Westwood shirt is in the most beautiful of cottons, crisp and fresh. As you would expect with this pattern of shirt there is little that is symmetrical. The collar is twisted and lower on the left. The right shoulder is far longer than the left and the back twists across. Sounds terrible and difficult to display well on a dummy, but looks great on. Long double buttoned cuffs. Left-hand chest pocket. Lovely hem details.